Any serious systems can’t ignore server security, especially in public Cloud. No doubt there’re tons of tips and tutorials available on the Internet. Let’s focus on fundamental and general best practices first. A List Of Security Improvements I Enforce After OS Provisioning. Here we use Ubuntu 16.04 for instance. 1.1 1. Keep Kernel Up-To-Date. Certainly no blind update for prod envs. But for newly installed servers, it’s usually harmless and can guarantee a higher level of security. One common suggestion is disabling unused services. But I choose to trust my distros provider. Generally speaking, I believe they might make right choices to have what installed and enabled by default. We need that to access web console of VMs. This happens when ssh doesn’t work. e.g. problematic iptables rules block you, OS runs into kernel panic, or machine reboot mysteriously stucks. 1.3 3. Generate SSH Key Pair. Never never share the same ssh key pair across servers! Only allow ssh by keyfile, thus hackers can’t easily break-in by guessing your password. Use another ssh listening port other than 22, which can avoid annoying ssh login attempts. 1.5 5. Restrict Malicious Access By Firewall. This might be the most important security improvement you shall do. 1.6 6. Add Timestamp To Command History. It allows us to review what commands has been issued, and when. 1.7 7. Pay Close Attention to var/log. logwatch --range "between -7 days and -1 days"
1.8 8. Run 3rd Security Check Tools. Not everyone can or will be a security expert. Better try reliable and versatile tools. lynis is quite handy and straight-forward. Just a single bash file. 1.9 9. Proper Backup Unrecoverable Data. Always has plan B. As the last resort, make it’s feasible to do a quick system restore in new servers. Special thanks to this reddit discussion. Thanks for publishing your blog, your blog is very good and full of knowledge. 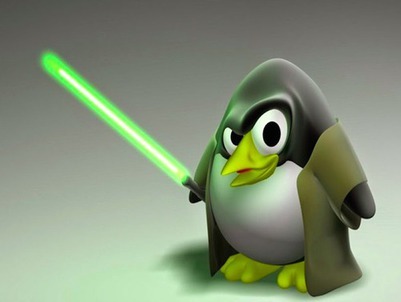 Support Wala is here to serve you Linux Server Security service all over world. Our services are very cheaper and secure from hackers.